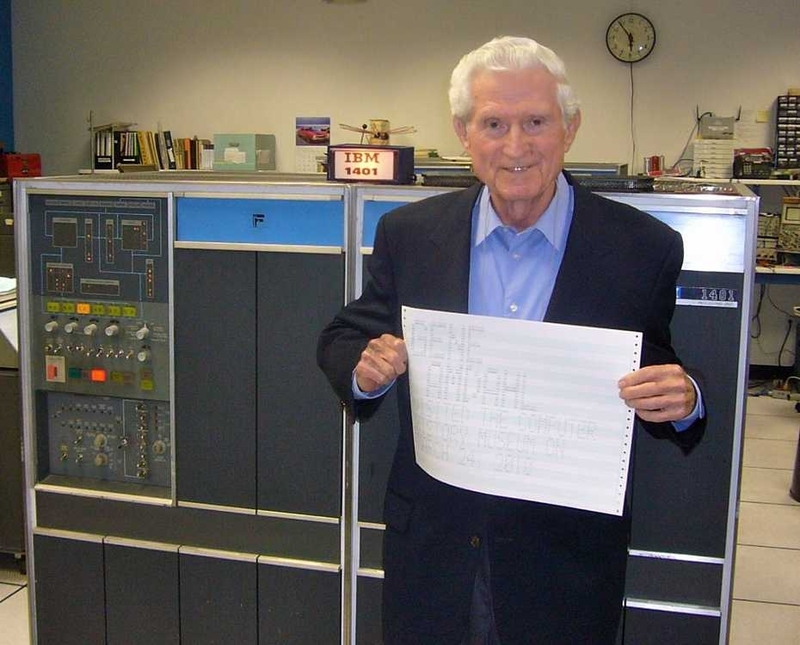 The computing community lost a pioneer this week as Gene Amdahl, known for his groundbreaking work in the early days of computing, lost a battle with pneumonia on November 10. His wife, Marian Amdahl, said he had also suffered from Alzheimer’s disease for the past five years. He was 92. Gene Myron Amdahl was born on November 16, 1922, in Flandreau, South Dakota. According to Bloomberg, he enrolled at what is now South Dakota State University in 1941 before joining the U.S. Navy a few years later following the bombing of Pearl Harbor. Once out of the military, he returned to college and graduated in 1947 with a Bachelor of Science degree in engineering physics. Amdahl headed to the University of Wisconsin at Madison in 1948 where he put together a thesis for a design of one of the first digital computers. His doctorate led to a job at IBM where he became one of the main designers of the IBM 704 mainframe for engineering and scientific work. After leaving the company for five years, he returned in 1960 to work on the IBM System/360 mainframe, the first computer that wasn’t built for a specific purpose. Amdahl later went on to form his own company, Amdahl Corp., which managed to capture more than 20 percent of the high-end mainframe market. He eventually sold his majority stake to Fujitsu for around $850 million. Amdahl is survived by his wife Marian, son Carlton and two daughters, Andrea and Beth. Your terminals and mainframes (along with Burroughs) was the first computer equipment I ever clapped eyes on and subsequently repaired. wastedkill and Whltng like this.